Post's Ignatius: Netanyahu doesn’t want to leave the fate of Israel dependent on American action. U.S. Defense Secretary Leon Panetta believes there is "a strong likelihood" that Israel will strike Iran in April, May or June, according to the Washington Post's David Ignatius. Israel believes that after this time, Iran will have entered a “zone of immunity” that will enable it to build a nuclear bomb at its leisure, Ignatius wrote. Defense Minister Ehud Barak used the same words Thursday in his speech at the Herzliya Conference. "Very soon,the Israelis fear, the Iranians will have stored enough enriched uranium in deep underground facilities to make a weapon — and only the United States could then stop them militarily," explained Ignatius. 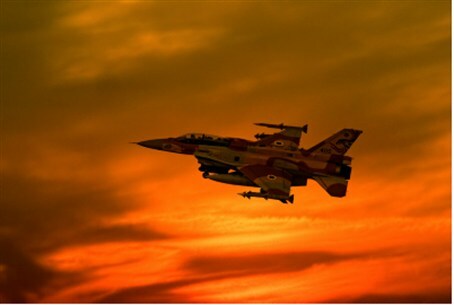 The U.S., however, does not intend to hit Iran until it has intelligence that Iran is actually building a bomb, and "Israeli Prime Minister Binyamin Netanyahu doesn’t want to leave the fate of Israel dependent on American action..."
When Barak asked last month to postpone a planned U.S.-Israel military exercise, he may have been signaling that an Israeli attack is imminent, the senior journalist wrote. Barak "apologized that Israel couldn’t devote the resources to the annual exercise this spring." President Obama and Panetta cautioned Israel against an attack, because they believe it would derail "increasingly successful international economic sanctions" against Iran. The White House hasn’t yet decided precisely how to react to an Israeli attack on Iran. The U.S. appears to favor staying out of the conflict unless Iran hits American assets, which would trigger a strong U.S. response. But administration officials "caution that Tehran shouldn’t misunderstand: The United States has a 60-year commitment to Israeli security, and if Israel’s population centers were hit, the United States could feel obligated to come to Israel’s defense." Ignatius quotes an Israeli official who reportedly told the U.S.: “You stay to the side, and let us do it.” The pundit mentions a “short-war” scenario that assumes five days or so of limited Israeli strikes, followed by a U.N.-brokered cease-fire. This, too, jibes with comments made yesterday by Israeli Chief of Staff Lt. Col. Benny Gantz. U.S. officials don’t think that Netanyahu has made a final decision to attack, says Ignatius, but "senior Americans doubt that the Israelis are bluffing."